Illinois defeated Virginia in the Citrus Bowl, 31-21, ending a 26-year bowl victory drought. Students for the Chief formed. Trustees voted 7-1 to retain Chief Illiniwek as the symbol of the University of Illinois. Students filed 19 complaints of harassment after police attempted to break up a rally of mostly African-American students. Catalyst, an international student environmental conference, held on campus, attracted more than 7,000. Committee against the War in the Gulf organized. African-American students stood up in classrooms to protest University in wake of recent racial incidents. 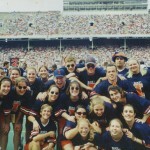 Illinois played in the Hall of Fame Bowl, lost to Clemson 30-0. 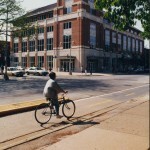 Students and residents marched from downtown Champaign to the Quad in opposition to Gulf War. U-C Senate approved resolution stating University military-science classes open to all regardless of sexual orientation. The NCAA sanctioned the men’s basketball team for recruiting violations. University announced that Chief Illiniwek would no longer appear in Homecoming parades or pep rallies. Fire on fourth floor of the Natural History Building caused over $2 million in damages. Farmhouse fraternity banned the possession and consumption of alcohol on its property. 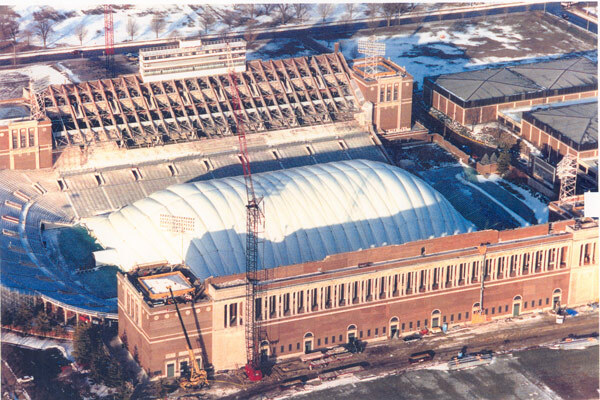 An $18 million renovation of Memorial Stadium began. Student Government Association voted to end all support of Chief Illiniwek. A $1 billion fund-raising drive called Campaign Illinois began. Plant and Animal Biotechnology Laboratory dedicated. 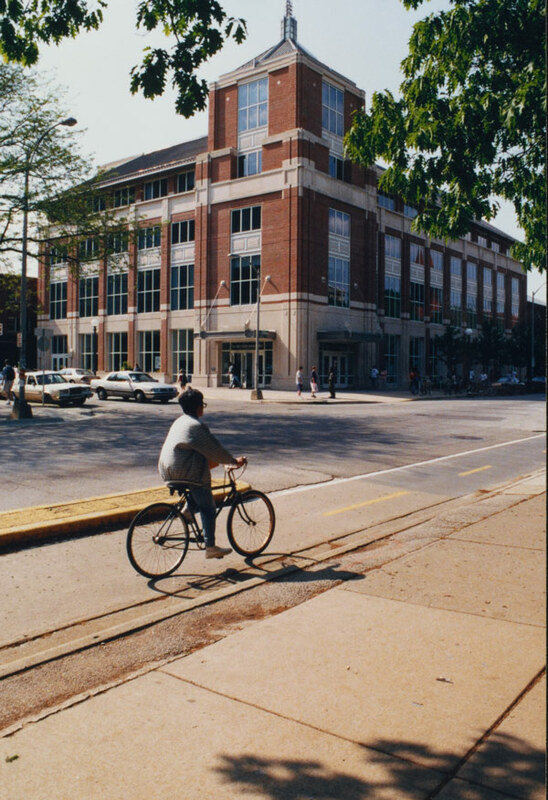 Building re-dedicated as Madigan Laboratory in 1995. 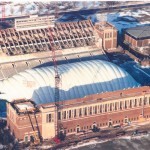 Illinois played in John Hancock Bowl, lost to UCLA 6-3. Latino students and their supporters occupied the Office of Minority Student Affairs and Administration Building. The students called for a new director of La Casa Cultural Latina and greater funding and autonomy for the cultural center. National Coalition on Racism in Sports and the Media formed. University vaccinated 18,000 students in the Armory for meningitis. Computer and Systems Research Laboratory dedicated. Illinois played in Holiday Bowl, lost to Hawaii 27-17. The Asian American Alumni Association was founded. The men’s swimming and fencing programs were eliminated. January 18th saw temperatures of 20 degrees below zero, with wind chills estimated at 62 below. McKinley Health Center treated 13 students for frostbite in a two-day period. University President Stanley Ikenberry announced his retirement. Courtyard Café opened in Illini Union. A plane crashed after leaving Willard Airport, killing two alumni. Graduate Employees Organization (GEO) issued bill of rights. The Grainger Engineering Library and the new Illini Union Bookstore opened. Illinois defeated East Carolina in the Liberty Bowl 30-0. James J. Stukel became the 15th president of the University. Uof I Direct, a new online registration system, took effect, eliminating the on-campus registration at the Armory. Temple Hoyne Buell Hall dedicated. Trustees appointed by the governor instead of elected by a statewide vote. Sangamon State University became the University of Illinois at Springfield. Illinois Student Government (ISG) succeeded the Student Government Association (SGA). Chemistry and Life Sciences Building opened. Green Street repaved from Wright to Neil streets. Men’s basketball coach Lou Henson retired, replaced by Lon Kruger. New Office of Admissions and Records Building dedicated. Campus Recreation Outdoor Center and Multiplex Fields opened. GEO members rallied on the Quad. Freshman killed in shooting incident. Women’s basketball team reached the Sweet Sixteen. Governor Jim Edgar vetoed a bill that would have given student trustees a binding vote. 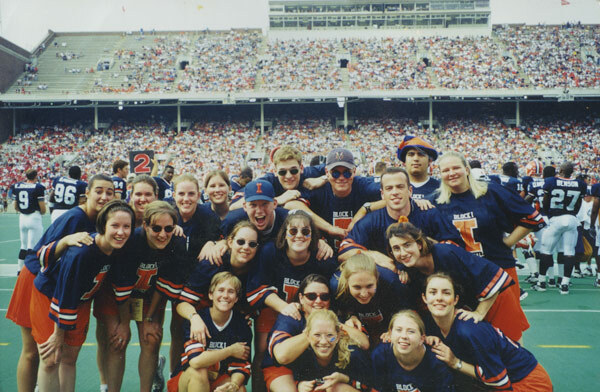 Jay Rosenstein’s In Whose Honor?, a documentary critical of Chief Illiniwek, aired. Alumni Against Racist Mascots formed. Illini Homecoming king and queen made statements critical of Chief Illiniwek. The following year, the University ended its practice of crowning a Homecoming king and queen. 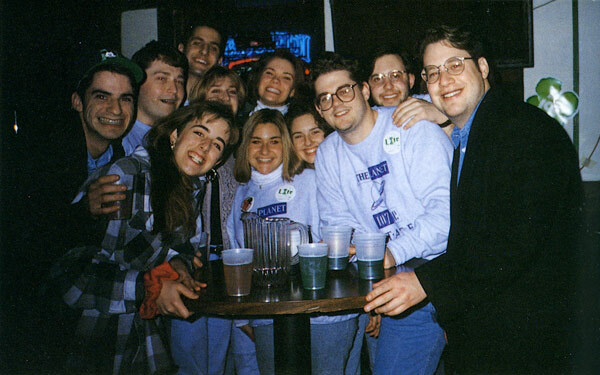 Daily Illini became a free newspaper. Muslim students held a public demonstration during Islamic Awareness Week. President Bill Clinton and Vice President Al Gore spoke at Assembly Hall. Faculty-Student Senate approved resolution asking Board of Trustees to replace Chief Illiniwek with a new symbol in a 97-29 vote. Students for Chief Illiniwek and Chief Illiniwek Educational Foundation formed. University professor Stephen Kaufman filed grievances against University administrators, arguing Chief Illiniwek violates the University’s anti-discrimination policies. Women’s basketball team reached the Sweet Sixteen for second year in a row. Media named Theresa Grentz Big Ten Coach of Year for the second year in a row. Men’s basketball team shared Big Ten title. Bill giving student trustees a binding vote passed into law. Week-long symposium held to commemorate Dr. Martin Luther King’s civil rights efforts. New student athletic fee went into effect. Graduate student died following an incident at a Champaign bar. 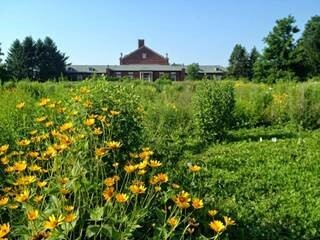 William and Claris Spurlock donated $8.5 million for new World Heritage Museum. Illini baseball team won Big Ten championship. Richard T. Ubben Basketball Complex opened. Senior died of gunshot wounds during Homecoming weekend. Women’s basketball team began to play at Assembly Hall, moving from Huff Gym. Student shot at White Horse Inn. 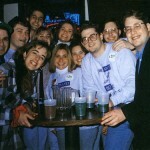 Two campus bars sponsored Pre-St. Patrick’s Day Party, the precursor to Unofficial St. Patrick’s Day. First Roger Ebert’s Overlooked Film Festival held. Two students hospitalized after ingesting drug known as Liquid G.
Football team came from behind to defeat Michigan at Ann Arbor. Illinois defeated Virginia in Micron PC.Com Bowl, 63-21.